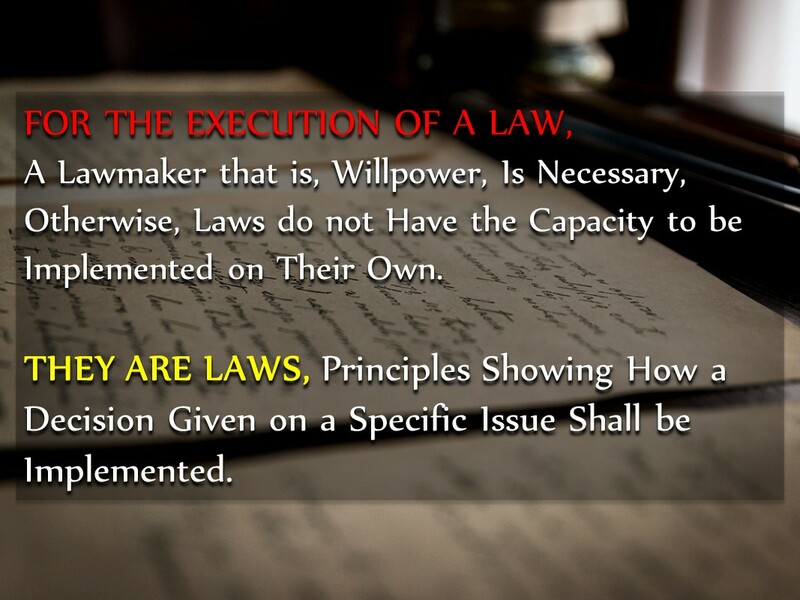 For the execution of a law, a lawmaker that is, willpower, is necessary, otherwise, laws do not have the capacity to be implemented on their own. As their name suggests, they are laws, principles showing how a decision given on a specific issue shall be implemented. What kind of thing is a law? It is something abstract. Does it have a concrete existence? No. How is its existence known? With its works and results. It makes itself known when it is applied. When you say, “The Court implemented the death sentence, executed it” the law comes to the fore. It shows itself with the execution of the decision. Laws of nature are also abstract concepts, which show their effect over the matter/objects, but which lack external and concrete existence. Famous laws of nature are nothing more than that. In other words, they are just empty concepts. 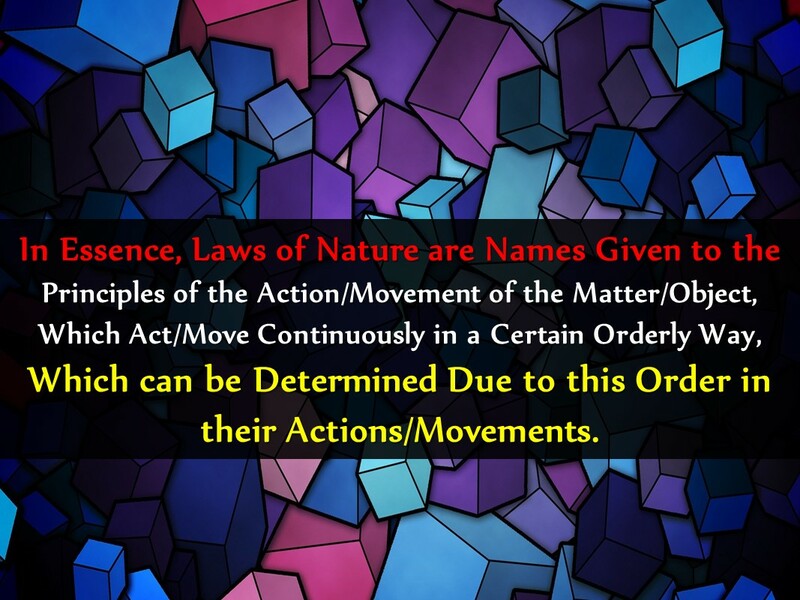 In essence, laws of nature are names given to the principles of the action/movement of the matter/object, which act/move continuously in a certain orderly way, which can be determined due to this order in their actions/movements. It could be claimed if the matter/objects did not move orderly; no discipline of science would ever be established. 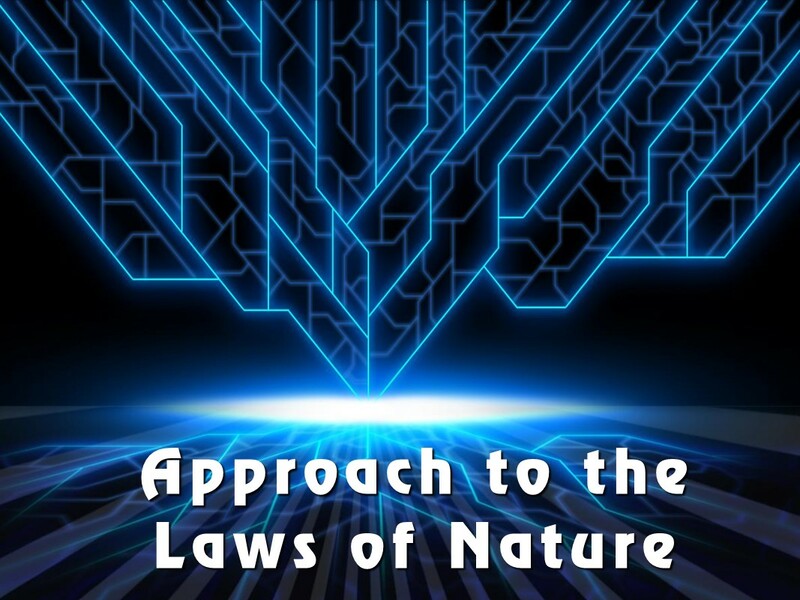 There is a specific point that we repeat from the very beginning of our explanations on Treatise of Nature: The Laws of Nature are not objects with the material substance, which have the properties, capabilities to create themselves or other things. They could not be the source of anything or any event. They could not be the reason of any formation. So what are the laws of nature? They are nothing more than explanations of the working of a systematic event or formation. Otherwise, let alone the creation of the matter/objects or be a source for the movement of the matter and objects, these laws could not even explain their own essence or the reasons of their existence. 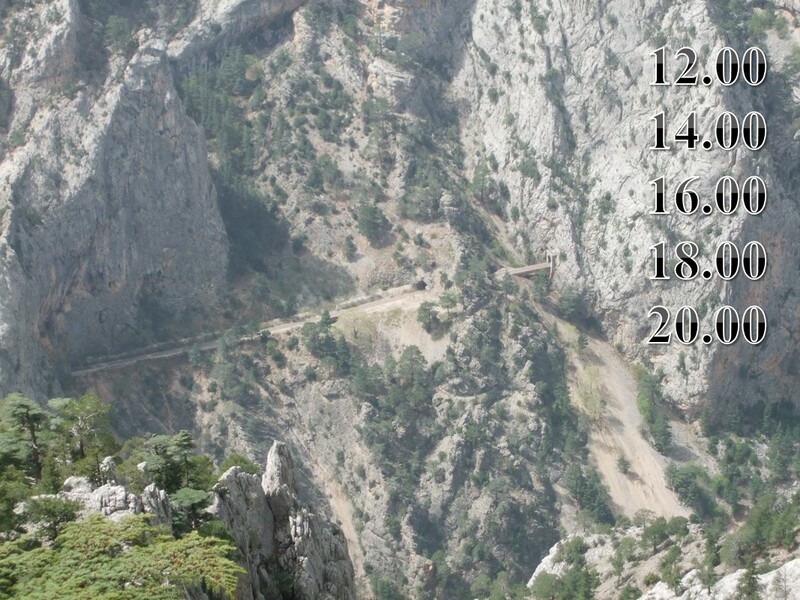 For example, we look at a valley from the top of a hill, and we see that every day at 12:00; 14:00; 16:00; 18:00 and 20:00 a train passes by and this is repeated regularly. 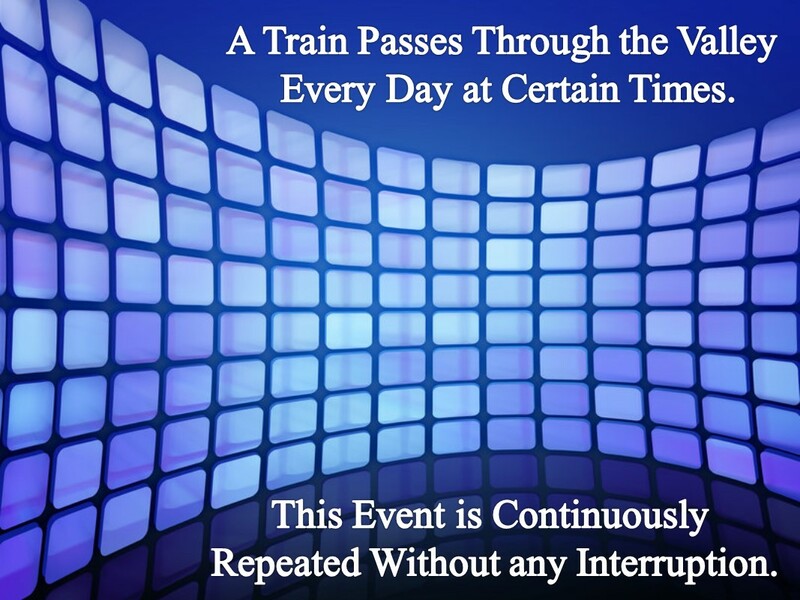 “A train passes through the valley every day at certain times. This event is continuously repeated without any interruption. 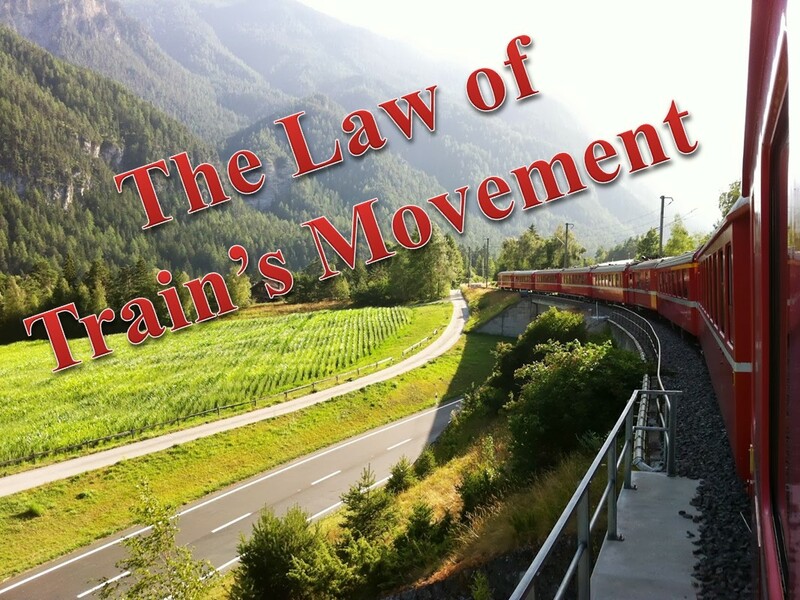 We wonder if this “Law of Train’s Movement” could come to life and have a material existence and then going back in time, could it become the conscious power making the train pass by at certain hours at a certain speed? And even, could it become the one who designs and creates this train? Could such an absurd idea be accepted as scientific thinking? Here, we repeatedly manifest that: The laws of nature are also exactly like this. 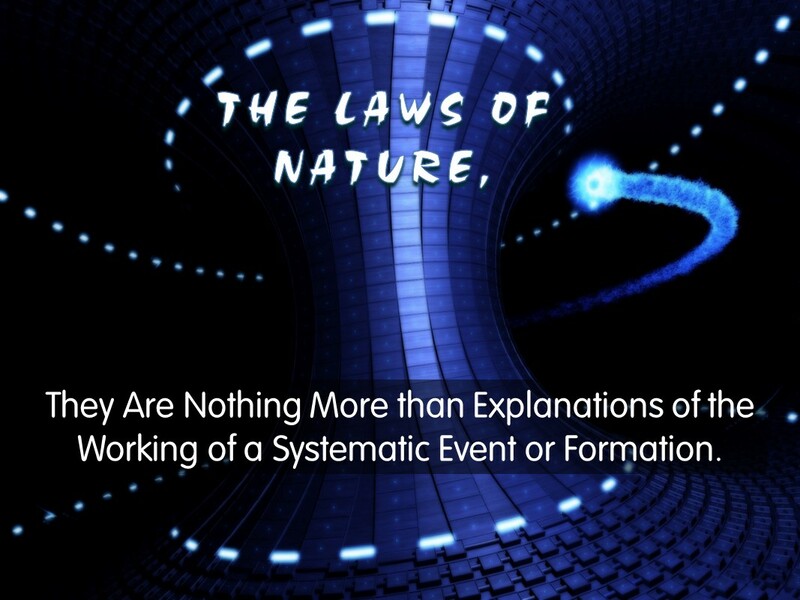 Just because you give a fancy name to a visible event or you have explained the principles of the formation of that event, your explanations could neither be the real cause creating that event or become a source of effect leading to that event. The laws of nature, which are claimed to operate living or non-living elements, cannot really explain anything, as they are non-solid and abstract concepts referring only to the description of the movement and operation of the material, let alone the works requiring consciousness, will and knowledge. 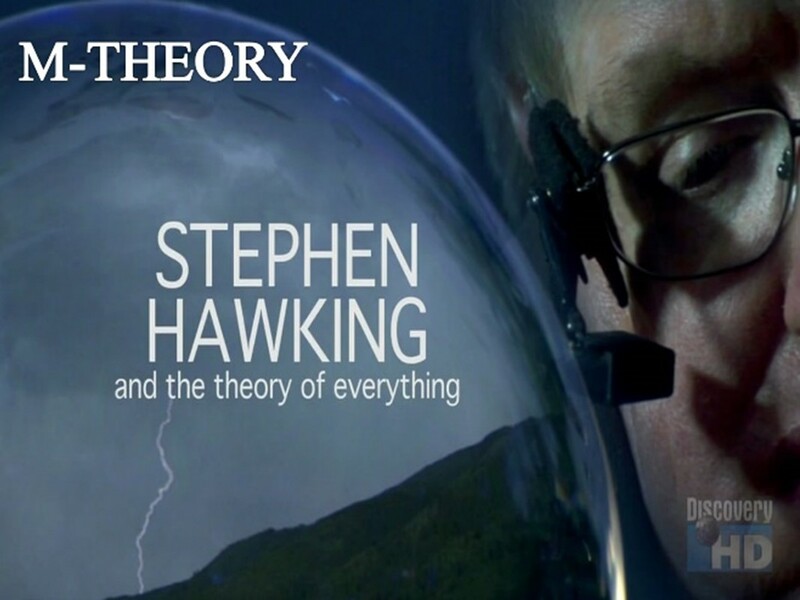 “Scientists create theories which include mathematical laws, in order to explain natural events. However, theories and laws themselves can’t create these natural events. 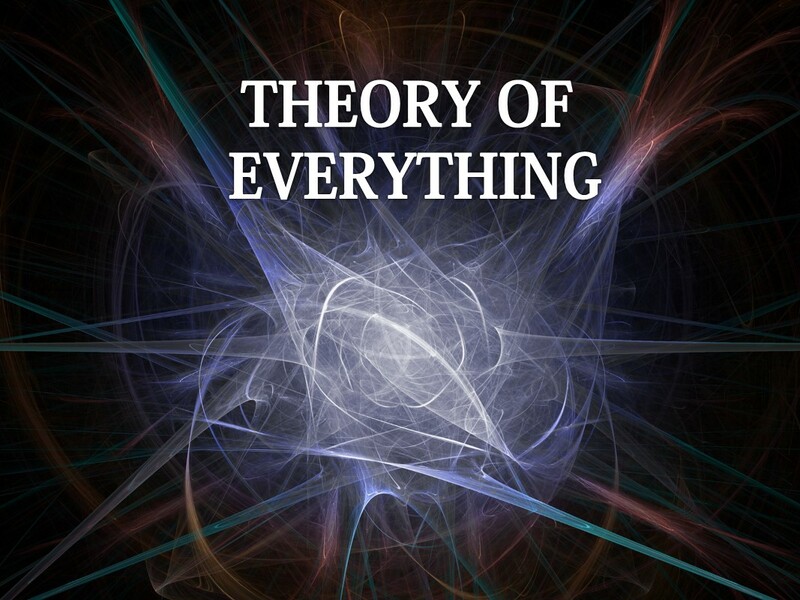 Theories and laws are mathematical explanations for certain things that take place under certain conditions. A law of nature is descriptive and predictive. However, it is not creative and it can’t be. 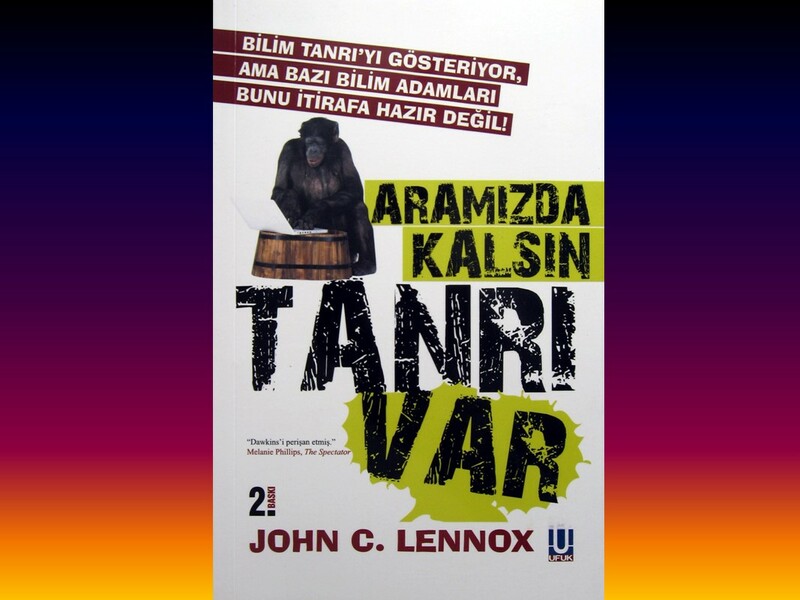 In other words, the law of nature says: “This happens in that way and will happen like that in the future”. If we say it more concretely, saying that laws are descriptive means telling the object is falling because of the force of gravity. When we tell “if we leave the object free, it will fall down” is an example of laws’ being predictive. But it does not necessitate being the creator. It, at most, describes the event. “Newton’s law of gravity can’t create the force of gravity or the object which is affected by the gravity. And even Newton himself realized, it does not either explain the gravity itself. Neither scientific laws could create something or cause something come into being. 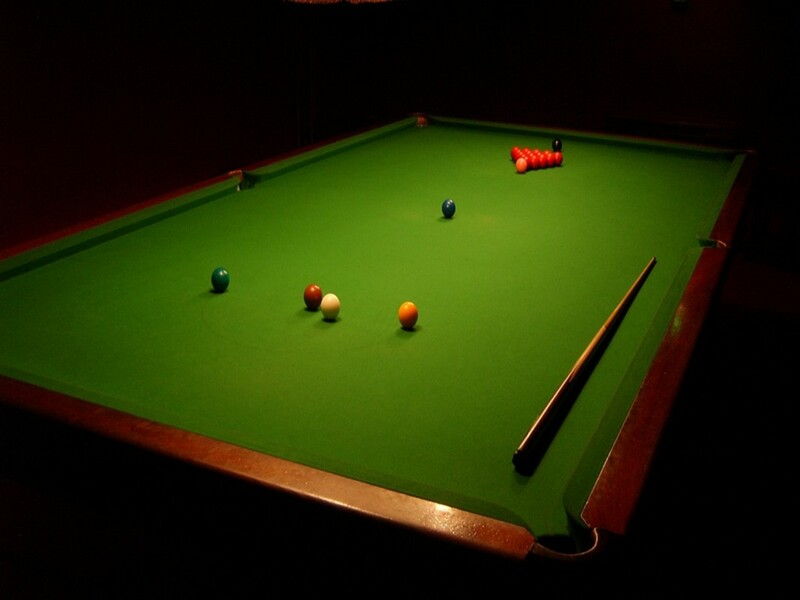 Newton’s law of motion has never moved any billiard ball over a table. A billiard ball can only be moved with the use of a stick by human muscles. Laws only enable us to observe the movement of the ball and to forecast its course until another event / force interrupts it. “If you have A in your hand, depending on it, you can find B. However, first you should have A in your hand. Laws wouldn’t do it for you. A solid naturalistic world, where the laws of mathematics created the universe and life on their own is nothing more than a science-fiction. On the other side, all material elements, of nature, which act or work in line with the principles of nature can not be accepted as the effecting cause or the explanation, in the real sense of these formations, to which they lead to. 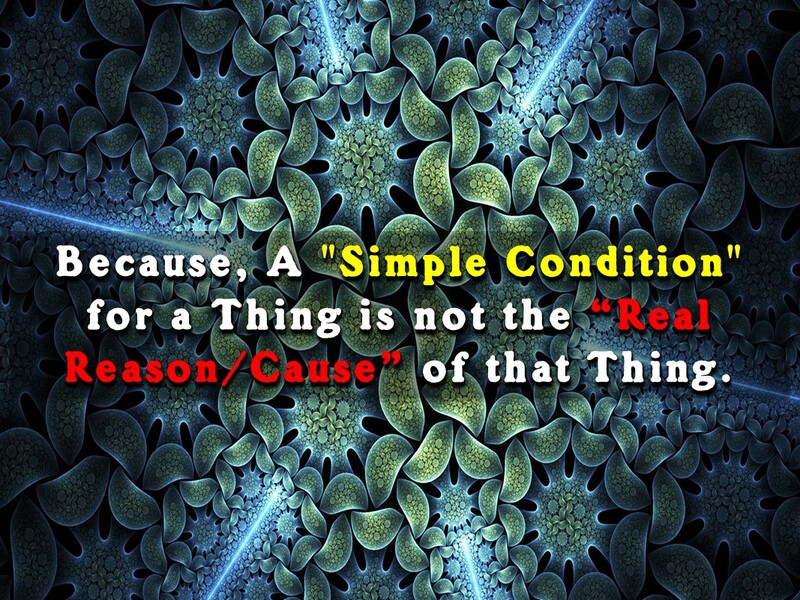 Because, a “simple condition” for a thing is not the “real reason/cause” of that thing. If you do not give water to a garden, it dries out. Just by looking at this fact, it can’t be said that water is the sole reason of existence of the plants in the garden. 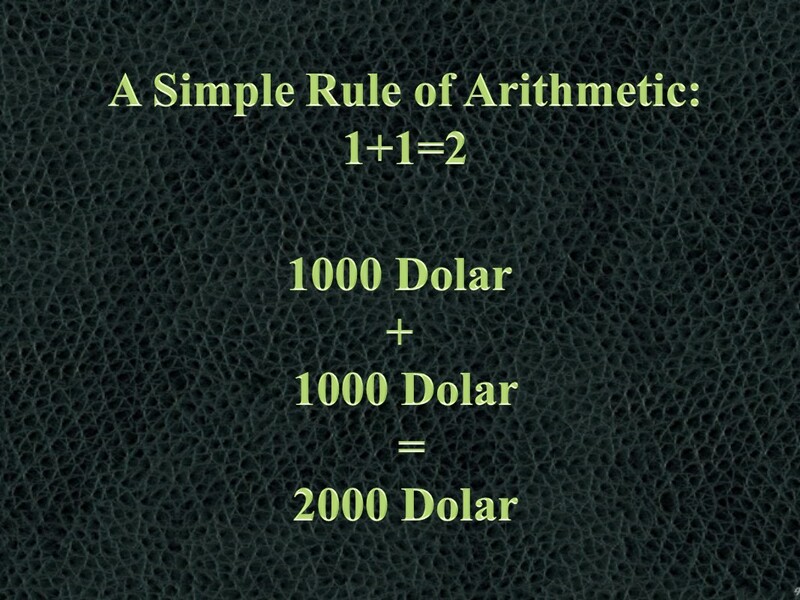 This is what we are trying to explain. The appearance of the images on a television is dependent on the condition of a switch button being pressed. 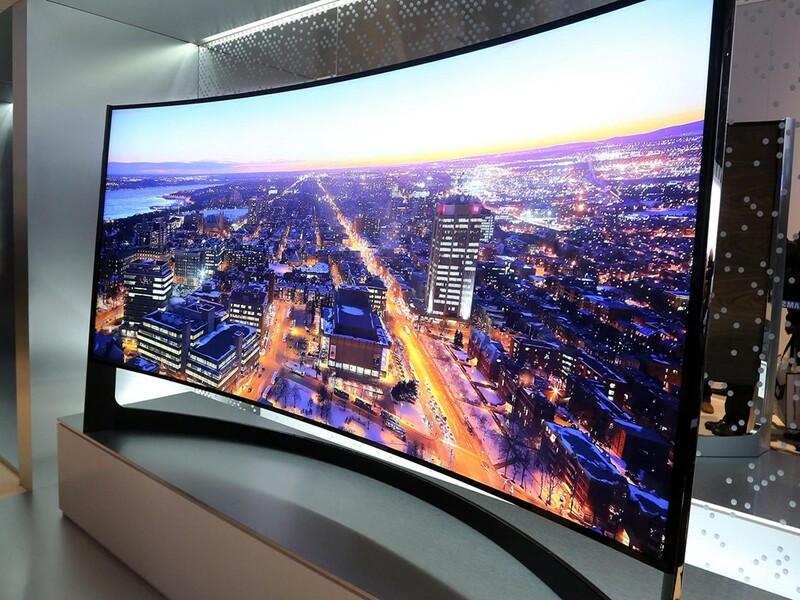 However, believing that it is the magical switch what makes this television work is something that could be done, by someone who is unaware of the existence of factory producing that TV, the electronic engineers and numerous parts making up the television, that is to say, the civilization. Or at best he or she could be considered as a thoughtless person. Now we are returning to the subject of natural law again and asking: In a situation where the matter acts disorderly, how will you find rules and put them into a book? What then will you call as science? 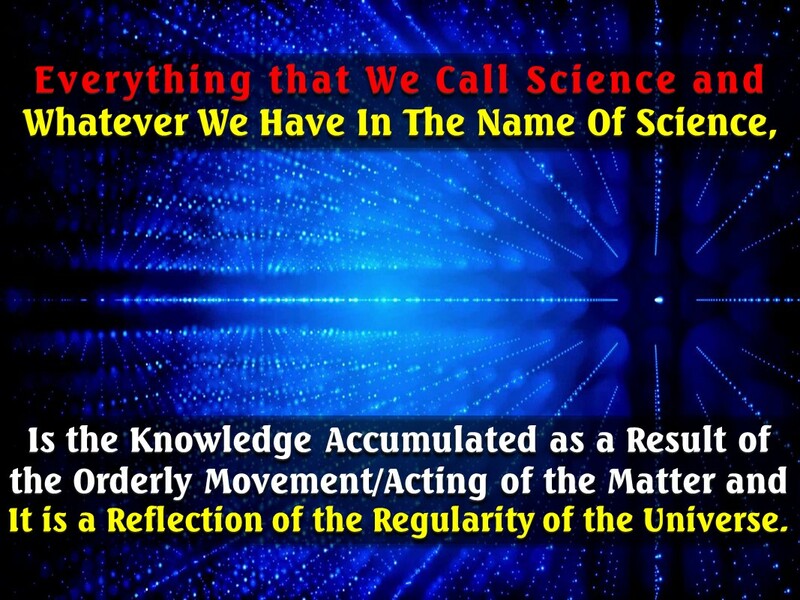 Everything that we call science and whatever we have in the name of science, is the knowledge accumulated as a result of the orderly movement/acting of the matter and it is a reflection of the regularity of the universe. If the matter did not act orderly, would we have anything called science? Of course we would not. Just how much far away from being intelligent and scientific is trying to explain (the creation/flight) of a passenger plane, which is designed by an expert engineer and produced by a big factory, just with the air’s lifting power, with law of thermodynamics, with electric power or with coming together of the parts of the plane, and even going further and claiming that the plane is self-created, not taking into account the engineer and the factory at all, not mentioning their names and leaving them out of any explanation in this regard. 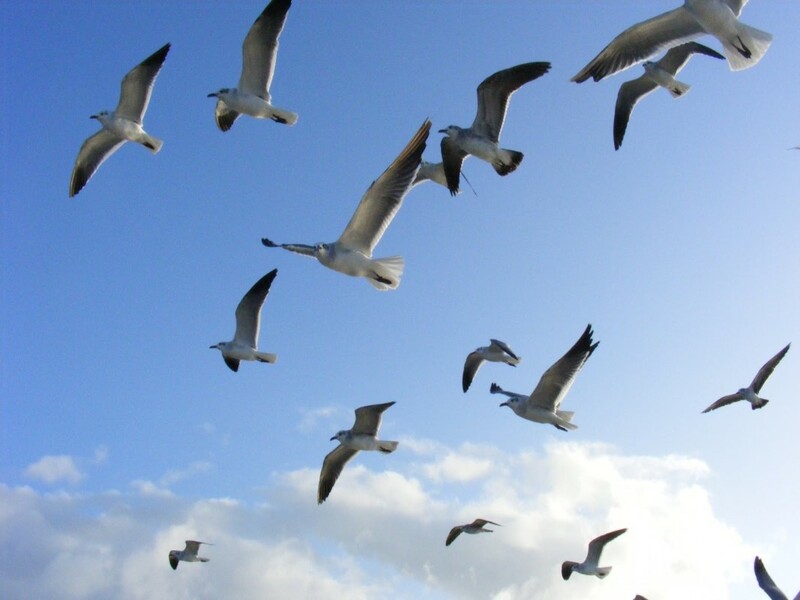 We think it is a thousand times more unintelligent and unscientific than this example to explain the mechanism of birds, which have a far more advanced flight system, comprising thousands of species, hundreds of millions of members with laws of nature. Just like it is impossible for a plane to build itself (presumably, there is no one claiming for the opposite). In a similar way, the matter /objects in the universe resemble the parts of a plane. 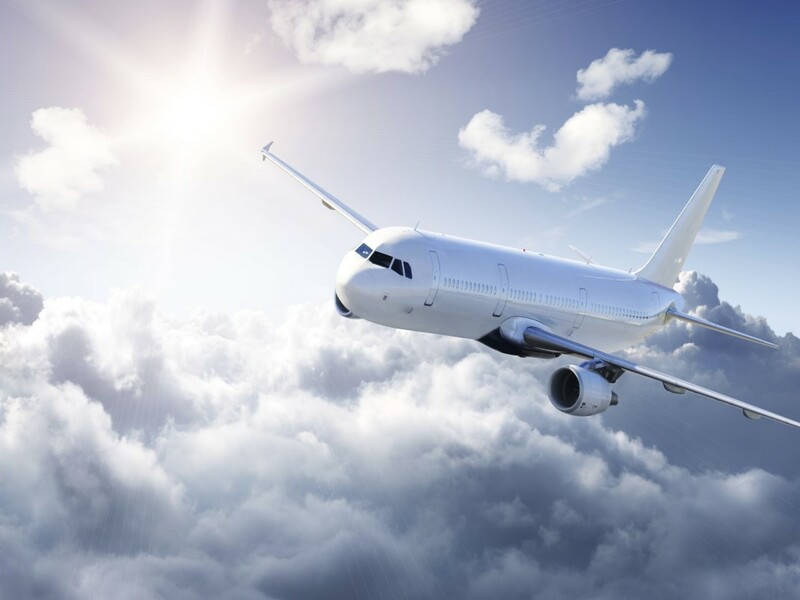 The parts of the plane cannot be produced and they cannot function without the knowledge and the will of an engineer and the power of a factory. 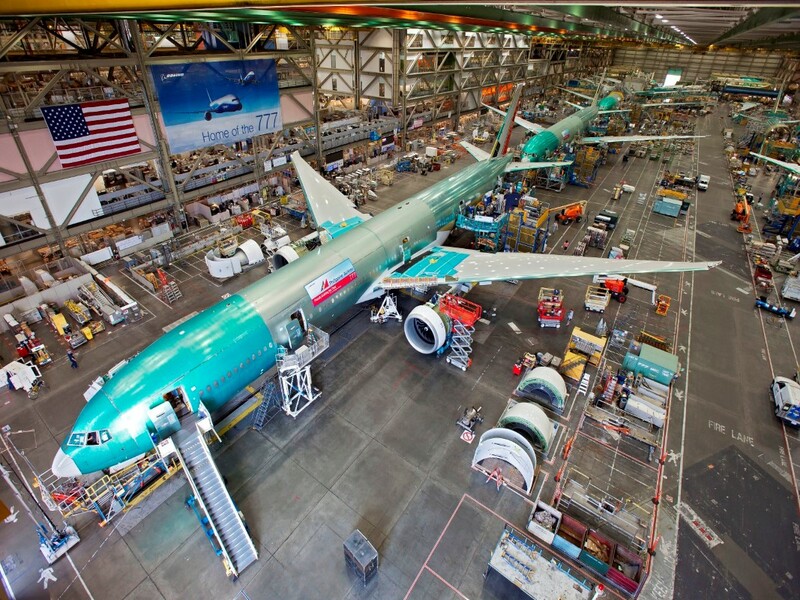 In fact, everybody accepts and nobody denies that this plane is made by using these parts. This is a very important detail. We also accept it and we do not deny it. But we say this: “My Friend, for God’s sake! May Allah give you a heart! These parts cannot say this “Let’s come together and form/create a plane!” Is this so difficult to understand? What is unscientific about expressing this fact? 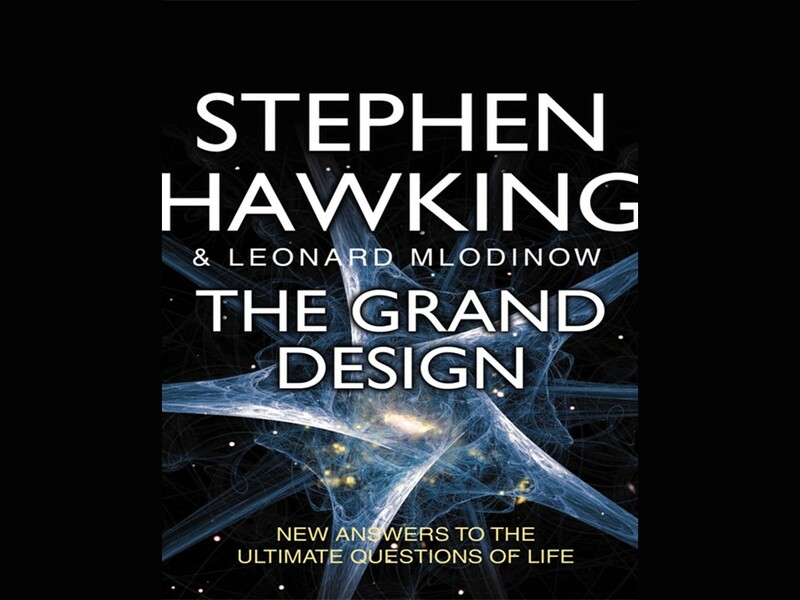 We say that the universe is also wisely designed and built, and that the creator of the matter and the living things inside it cannot be the universe itself. With this thinking, the causes are never denied. Is it science or the, causes, the nature or the creator? There is no need to make a choice between them, there are no dichotomies. In fact, they all function/work together! 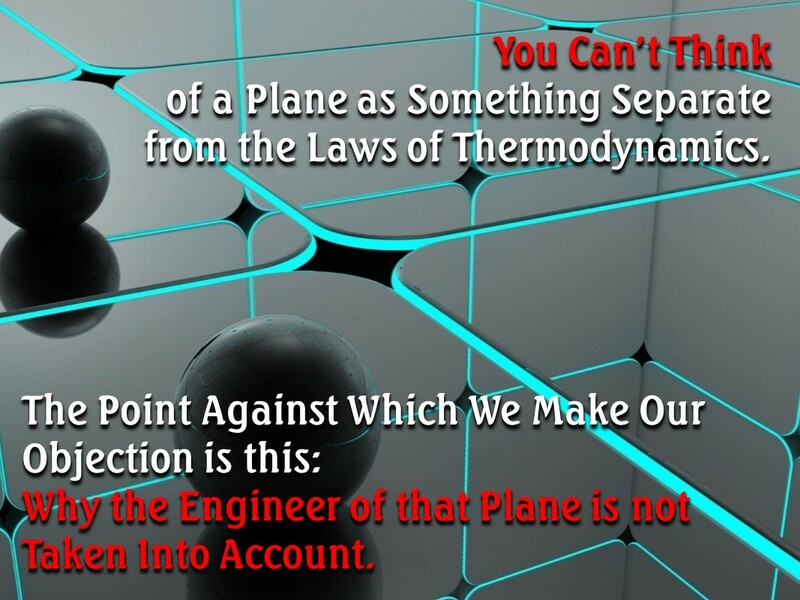 You can’t think of a plane as something separate from the laws of thermodynamics. 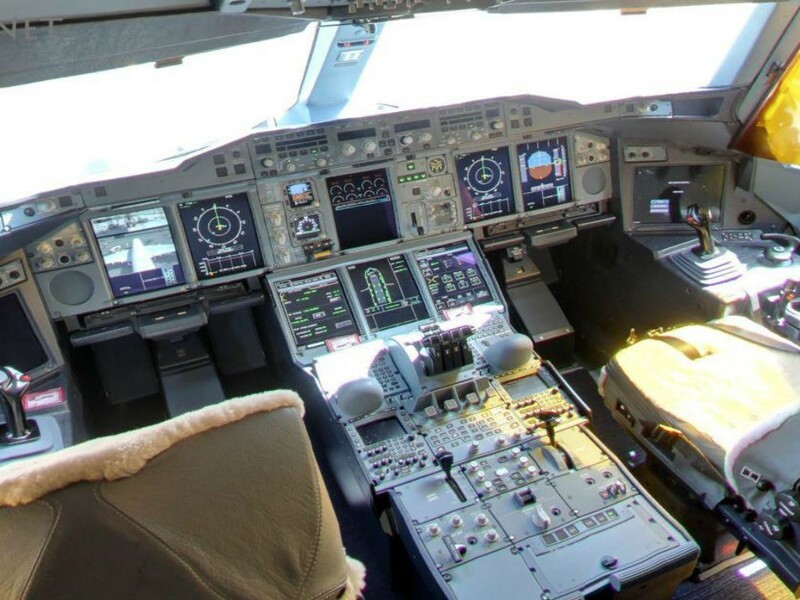 The point against which we make our objection is this: why the engineer of that plane is not taken into account. This is all that we care about. Here, it is concluded by reason that all these causes, and the object of design and great art are made by someone who has the characteristics and the qualities to create them. In summary, the laws of nature do not have external material existence; they are just existent in the knowledge of Allah and they are applied with the working of his power. Their existence is known with their consistent effects and results and their working based on a principle is scientifically determined. 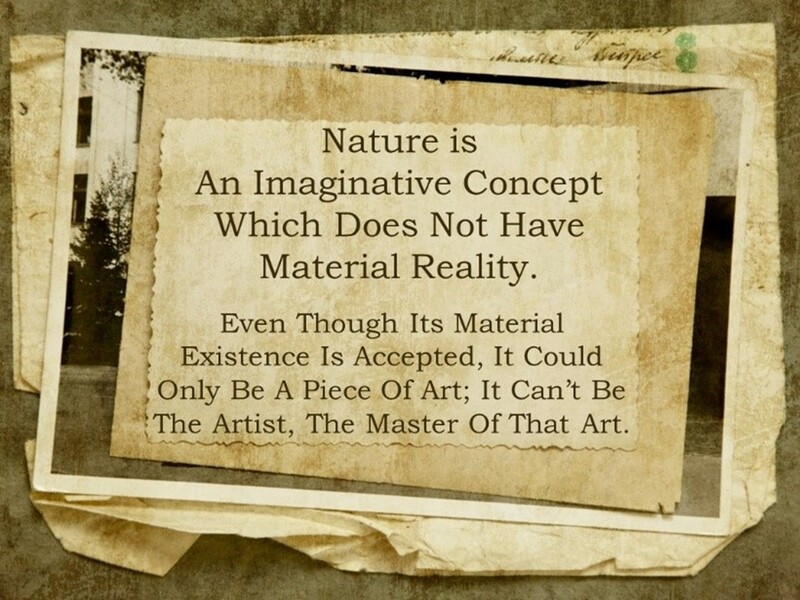 Nature is an imaginative concept which does not have material reality. Even though its material existence is accepted, it could only be a piece of art; it can’t be the artist, the master of that art. As it does not have such capabilities, he can’t do it. Since it does not have and such capabilities do not appear with it, then, it means it does not do these works, but they are done by someone else above it. 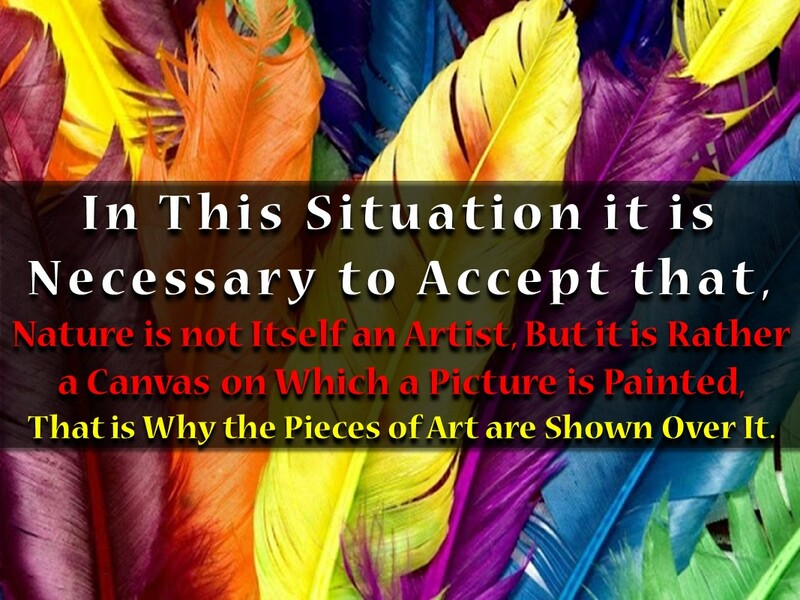 In this situation it is necessary to accept that, nature is not itself an artist, but it is rather a canvas on which a picture is painted, that is why the pieces of art are shown over it. We see there are certain embroideries decorated on the nature, and we do not deny it. We don’t have such a claim. 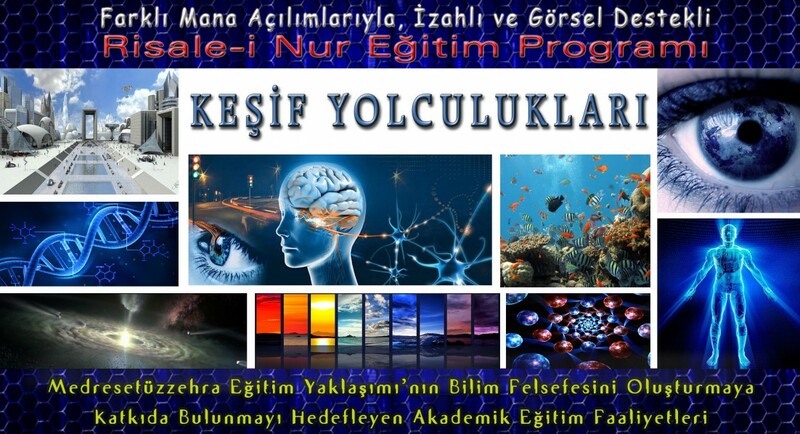 We accept the parameters provided by the science as given. But there is a difference of interpretation here. 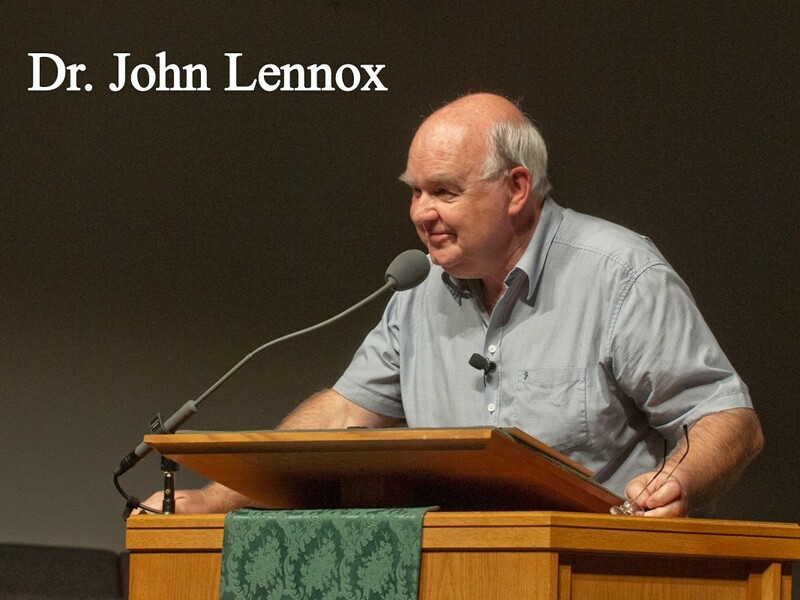 Our objection is to the labelling of the differences of opinion as science. We say our interpretation is this one. Our interpretation is more logical. And we claim that those embroideries are made by someone else. The laws of nature apply rules and have effects, but we say that the one who puts these rules, that is to say, law-maker, is someone else. We accept that nature sometimes functions as a curtain covering the states of the matter that look not appropriate with the greatness and the glory of the divine power but we reject the idea that it is the creator itself. We say that, the created actions work in nature and it is not nature what creates and work on those actions. 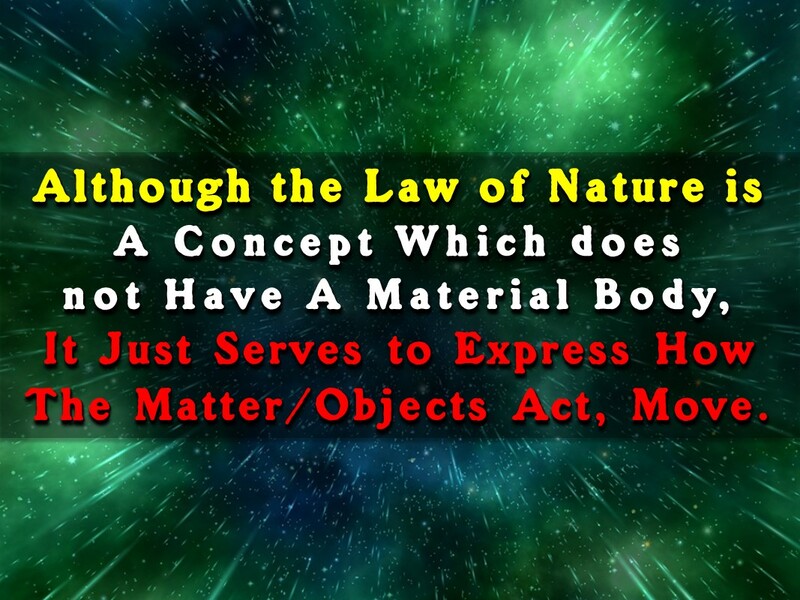 A law of nature, which has abstract existence, is not a force that has the characteristics of carrying out actions on its own, so it is not possible to attribute the actions done within the objects to the laws of nature. 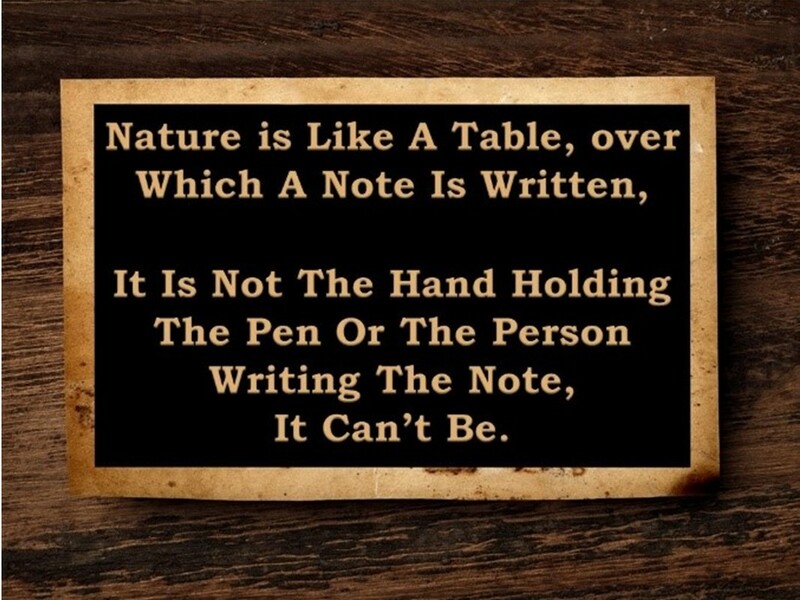 Nature is like a table over which a note is written. It is not the hand holding the pen or the person writing the note. It can’t be.